High performance, high comfort and Hi-Fi! 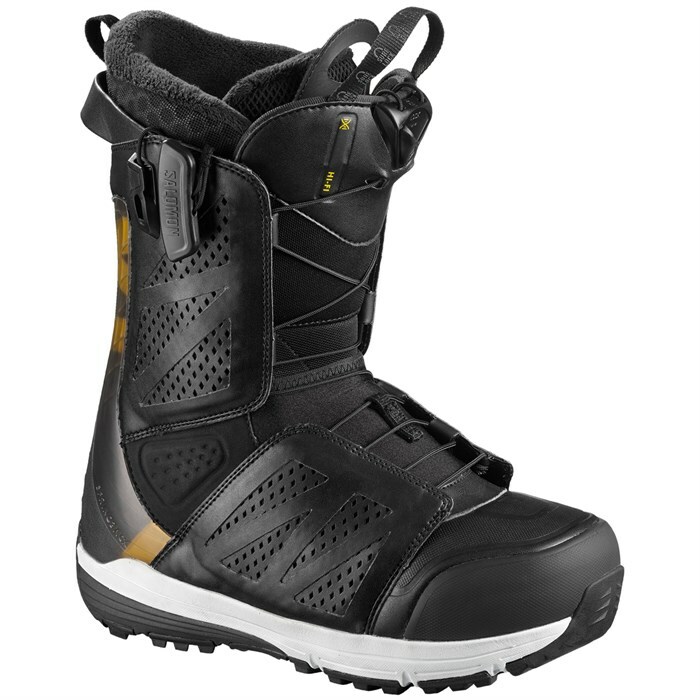 From the versatile and responsive medium flex to the ShadowFlex liner backed by a Springback TPU spine, the Hi-Fi is a progressive and reliable boot you can count on for freestyle fun across the full range of terrain choices. An Ortholite C3 footbed takes the edge off of hard impacts, while the tried and true Zone-Lock lacing system keeps you locked in! Medium Flex  Medium Flex is adapted to riders that want to feel good on all terrain types, for all riding styles. Springback Spine  The Springback spine is a molded TPU piece that provides a uniquely precise and never ending flex. Sensifit  Built into the wrapping panels, securing the foot with an exact fit that holds the foot from the midsole to the laces. Full Custom Fit  Heat moldable, multi-density foam throughout the entire liner. Shadow Flex  A neoprene gaiter around the ankle that relieves all pressure points and allows your ankle to flex freely. Wash & Wear  Wash it, just like your favorite tee. A fresh process using new materials and specific construction that doesn't necessitate glue, making the liner easy to wash.
Ortholite C3  Ortholite footbeds create a cooler, drier, healthier, and better cushioned environment for your foot. They do not break down over time and stay cushy and comfortable ride after ride. Trek Energy Cell+  All new Energy Cell+ is a long-lasting, Salomon-specific premium level EVA foam blend integrated into the outsole construction. It provides a lightweight, long-lasting, high rebound. Climax Gaiter  A neoprene water tight and weatherproof seal around the lower foot.